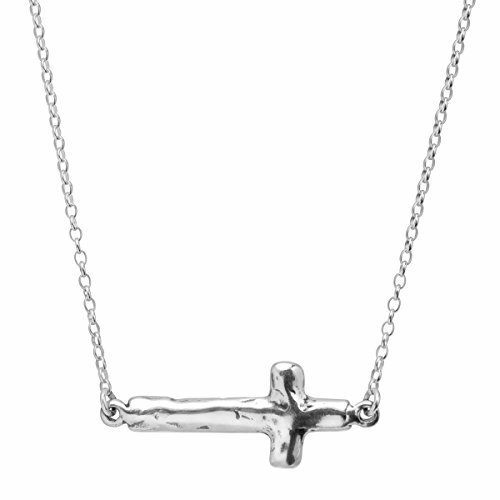 Stay grounded and express your faith with this horizontal cross necklace. Crafted in quality sterling silver, this piece is sure to become a staple in your rotation. Feature piece measures 5/8 by 1 5/8 inches with a total length of 18 inches, plus a 2-inch extender for adjustable length. Feature piece measures 5/8" by 1 5/8"